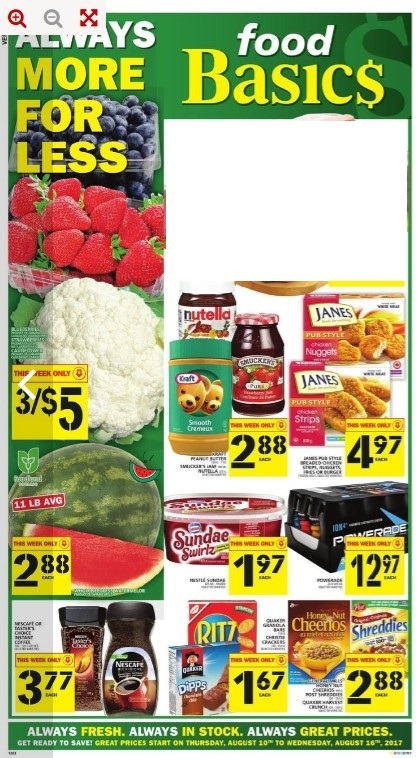 Get great prices Food Basics flyer Toronto valid Aug 10 - 16, 2017 for this week. 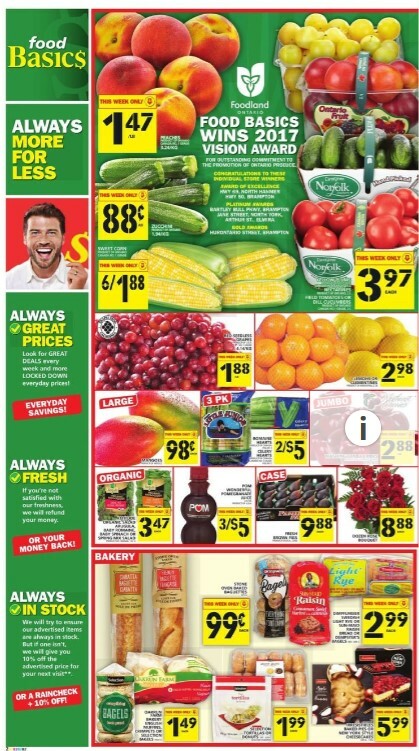 Browse the current ad of Food Basics flyer to get deals on Fresh meat like Lean Ground Veal, Veal Scallopini, Boneless Veal Stew, Veal Loin Chops and much more. Red Seedless Grapes - Price $1.88/lb Product of U.S.A. no. 1 grade $4.14/kg. Lemons or Clementines - Price $2.98 Product of Argentina, 2 lb. Extra Large of Mangoes - Price $0.98 Product of Mexico. Romaine Hearts Celery Hearts - Price 2/$5.00 Romaine hearts product of Canada pkg of 3 celery hearts product of Canada Canada no. 1 grade pkg of 2. Washington Cherries - Price $2.88/lb Product of U.S.A. no 1 grade. $6.35/kg. Northwest cherries. Attitude Organic Salad Arugula, Baby Romaine, Baby Spinach or Spring Mix Salad - Price $3.47 Organic. Product of Canada, 142 g.
Fresh Brown Figs $9.88 - Price Case. Product of U.S.A. case. Tostitos or Smartfood Popcorn - Price $2.88 Save Up to $0.81 150 - 320 g selected varieties. Cavendish Farms French Fries - Price 3/$5.00 Save $3.37 1 kg, frozen, selected varieties. Bertolli Olive Oil - Price $7.99 Save $4.00 1 L selected varieties. Palmolive or Sunlight Dish Detergent - Price $1.99 Save Up to $1.00 591 - 950 ml selected varieties. Pillsbury Pizza Pops or Toaster Strudel - Price $1.99 Save Up to $1.50 278 - 400 g, frozen selected varieties. Pine-Sol, Clorox, Green Works or Tilex Cleaners - Price $3.49 Save Up to $1.30 709 ml- 1.41 L selected varieties. Purina Beneful Dog Food or Purina Cat Chow - Price $6.99 Purina beneful dog food 1.6 - 1.8 kg or purina cat chow 1.42 - 2 kg selected varieties. Breyers Klondike or Novelties - Price $3.99 Up to Save $2.80 4-12's selected varieties. 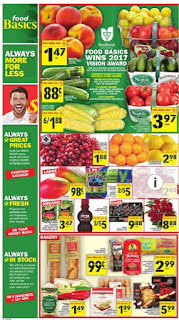 Vh or Healthy Choice Steamers - Price $2.99 Save $1.00 283 - 301 g frozen selected varieties. 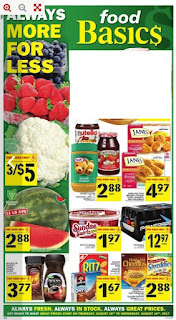 Subscribe to Food Basics flyer to get awesome great prices like these.